Volkswagen Group posted higher-than-expected operating profit in the third quarter, boosted by strong demand for Audi and Porsche models in Europe and China. Earnings before interest and taxes rose 16 percent to 3.23 billion euros ($4.1 billion) at Europe's largest automotive group, VW said on Thursday, beating analyst estimates. Buoyed by a recovery in core European markets, the German company stuck to its guidance for a 2014 operating profit margin between 5.5 percent and 6.5 percent, after 5.9 percent last year. It also confirmed a forecast for revenue within a range of plus or minus 3 percent of last year's record 197 billion euros. Quarterly revenues were up 4.1 percent at 48.9 billion euros, VW said. "We have turned in a solid performance in the year to date," VW Group CEO Martin Winterkorn said in the statement. "However, we must continue to focus on laying the foundations now that will enable us to respond" to challenges in the auto industry. 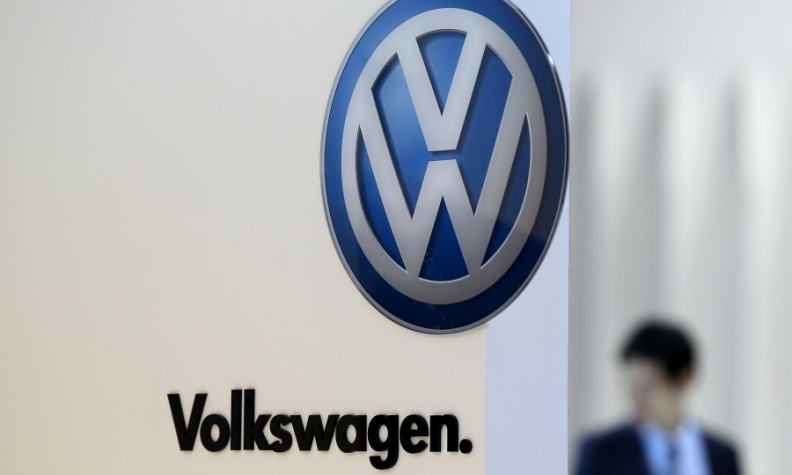 After years of rapid sales gains to pursue its goal of surpassing Toyota Motor Corp. as the world's biggest carmaker, Volkswagen has shifted focus to protect profit amid surging spending to meet stricter emission rules and develop new technology. At the VW car brand, the group's biggest unit, Winterkorn plans to reduce costs and boost productivity to improve earnings by 5 billion euros by 2018. VW shares rose as much as 4.8 percent and were up 3.9 percent at 168.30 euros as of 9:12 a.m. in Frankfurt trading. The stock has dropped 17 percent this year, valuing the company at 80 billion euros. VW Group's third-quarter vehicle sales were up 4.1 percent, at a record 2.43 million autos, with volume growth in China and Europe offsetting declines in the Americas, keeping VW on course to hit a 10 million car-sales target this year, four years ahead of schedule. Quarterly deliveries of Audi and Porsche models, which account for about two-thirds of VW Group earnings before interest and tax (EBIT), were up 7.2 percent and 25 percent respectively to 429,250 and 47,800 cars. So far this year, Audi has sold 1.3 million vehicles worldwide, a jump of 10 percent, while Porsche sales have risen 13 percent to 135,600. Audi, the world's second-largest luxury carmaker, has been pushing to narrow the sales gap to BMW Group's namesake marque on the back of new cars such as the A3 compact sedan. Audi posted a 6 percent third-quarter increase in operating profit to 1.16 billion euros. Audi’s nine-month operating profit was up slightly to 3.8 billion euros from 3.7 billion euros during the same period last year. The value-focused Skoda brand posted a 77 percent surge in third-quarter operating profit to 226 million euros, lifted by demand for the Rapid sedan and wagon. The company said nine-month operating profit jumped 76 percent to 651 million euros, while revenue grew by 19 percent to 8.8 billion euros in the period. Skoda’s vehicles sales rose by 13 percent to 774,100 cars in the first nine months. But operating profit at the core passenger-car brand, VW's biggest unit by sales and revenue, has tumbled as the mass-market division grapples with stagnant sales, high fixed costs and spending on technology such as VW's MQB modular production platform. To spur earnings power at the namesake brand, which is key to VW's global expansion, CEO Martin Winterkorn in July announced a goal to cut costs by 5 billion euros per year from 2017, the centerpiece of an efficiency drive spanning the 12-brand group.